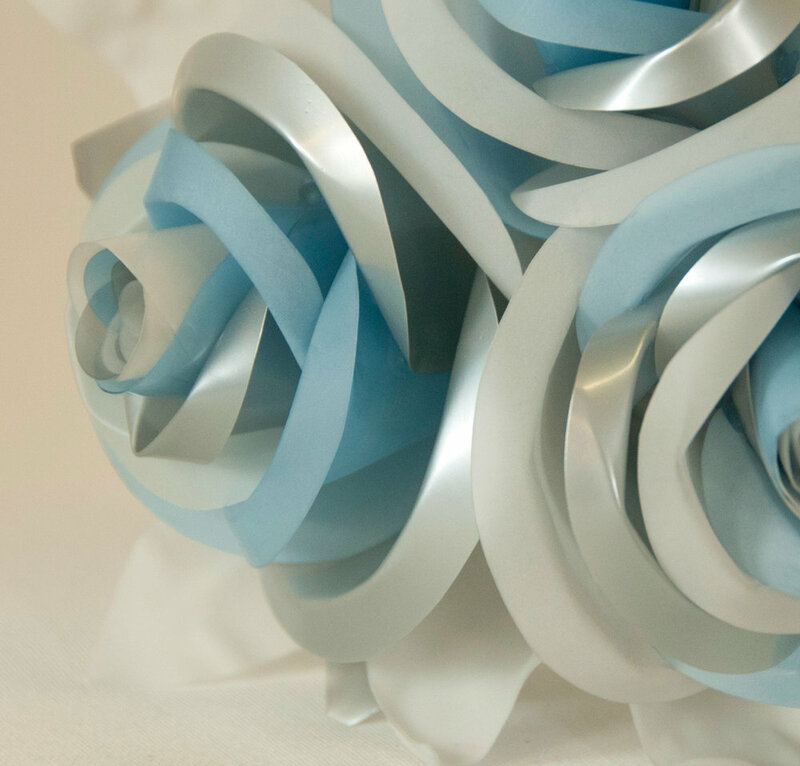 A unique, upcycled wedding bouquet that will not only look beautiful but will be a lasting memento of your special day. 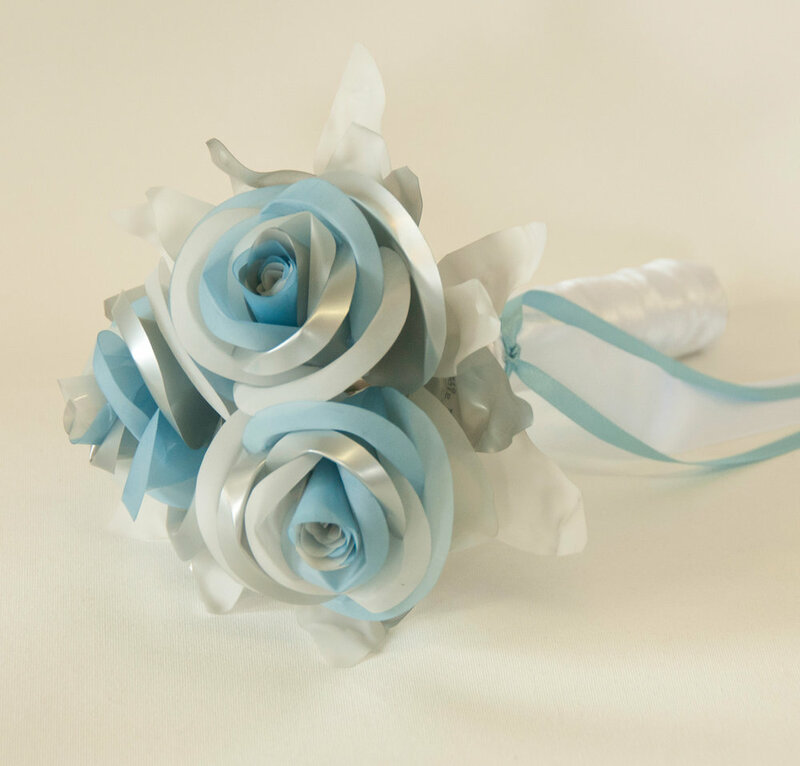 This bouquet was made to match the brides lovely dress, pale blue water bottles, silver energy drinks and 2 litre pop bottles have been used to create the roses. The natural colours of the bottles complimented the dress perfectly which shimmered silver and pale blue. The bride had a great idea of mixing the colours together so each of the roses had all of the three colours instead of just one. It turned out beautifully! Three extra little roses were made as cake decorations too. 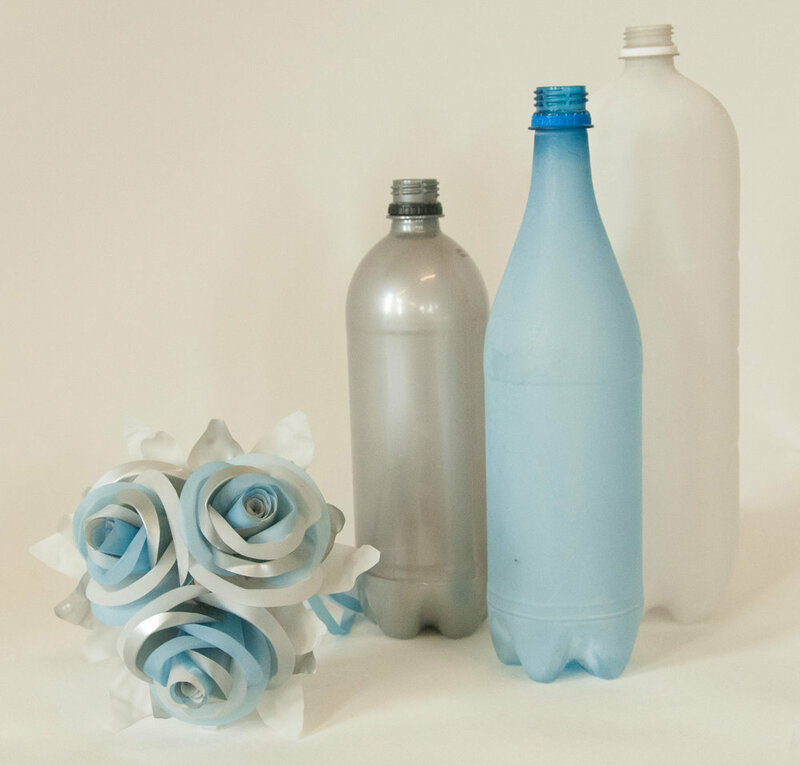 The plastic bottles can be dyed any colour to match your colour scheme. 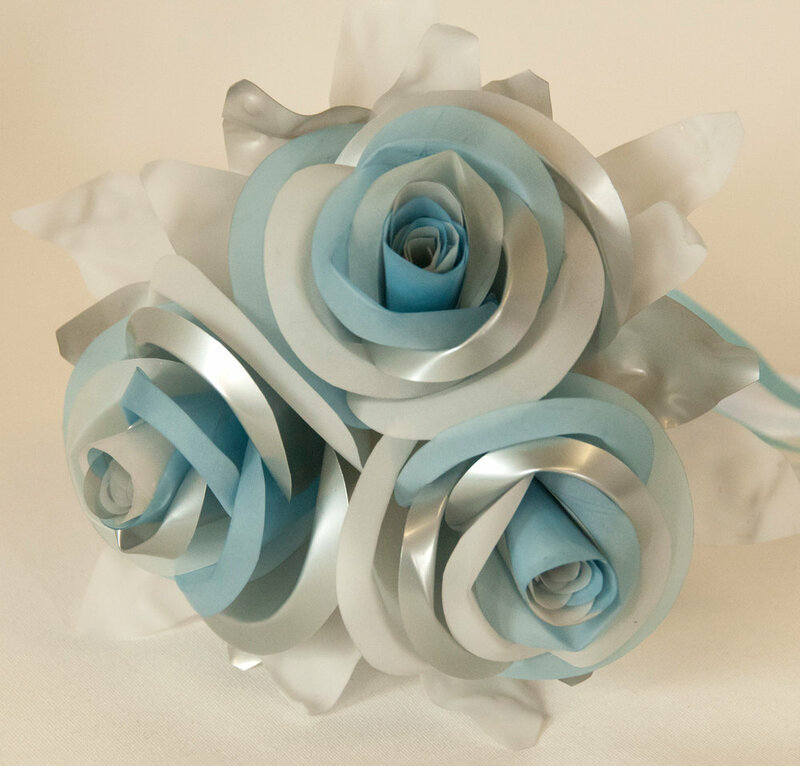 Each wedding bouquet is made to order just contact us to discuss your ideas.